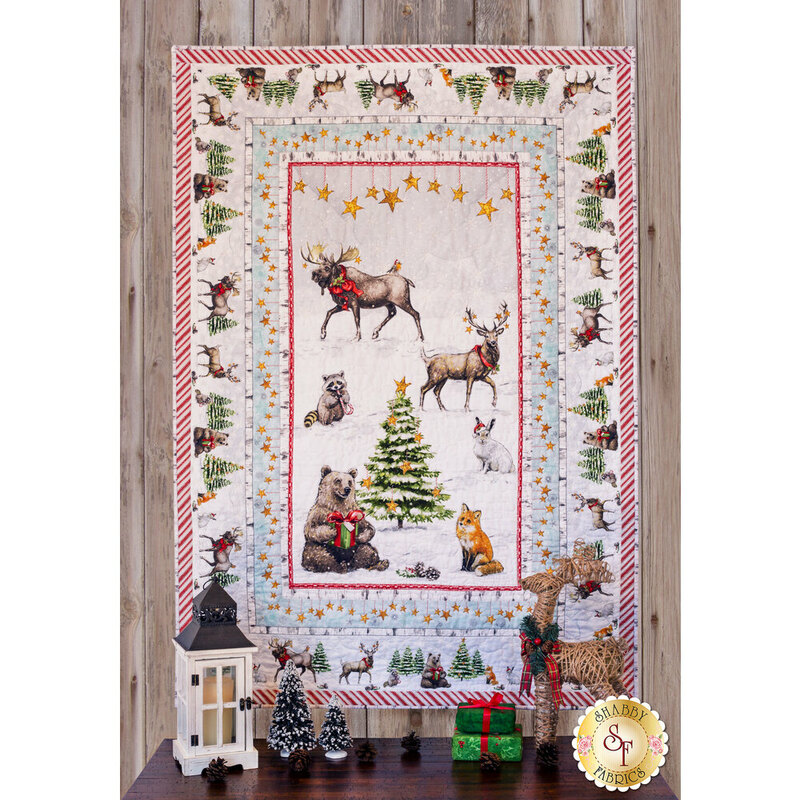 This woodland gathering celebration of Christmas brings a touch of whimsical magic to your home. 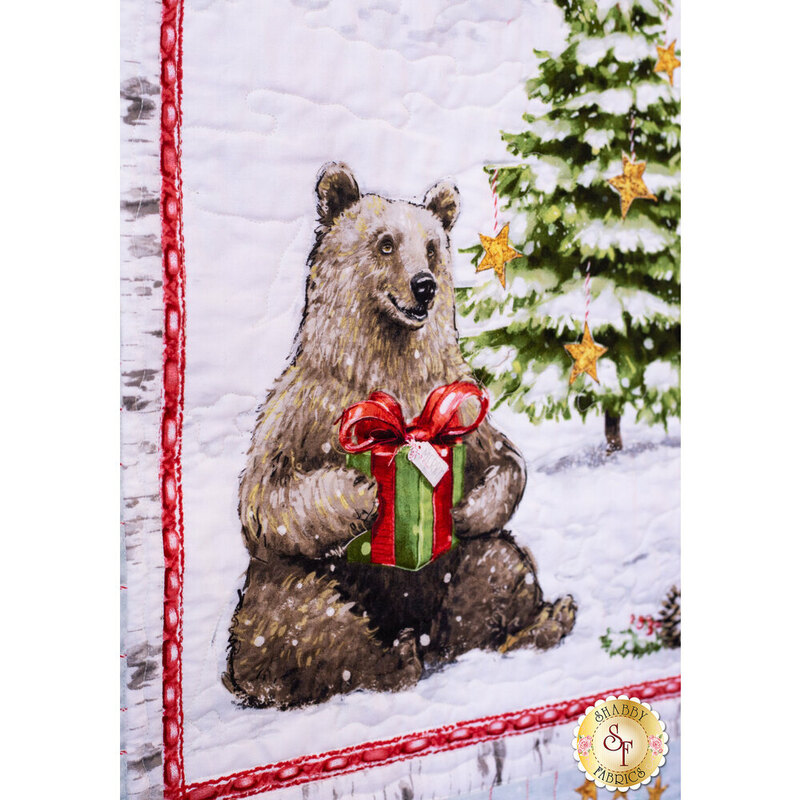 The soft color palette and friendly feel make this a versatile piece for any style décor. 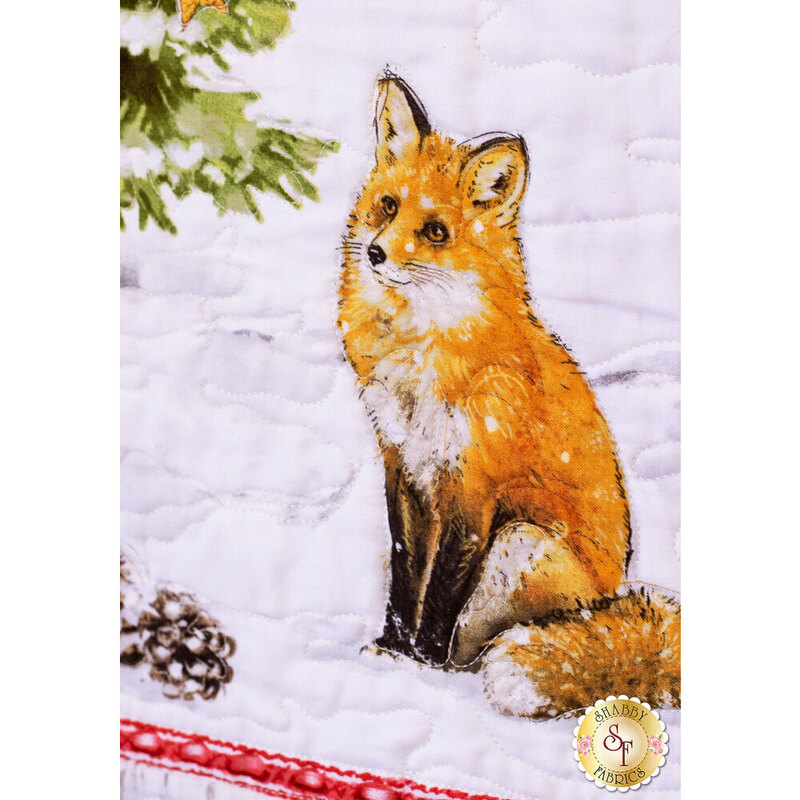 The project is made simpler because it uses a panel, which lets you jump right into the sewing! 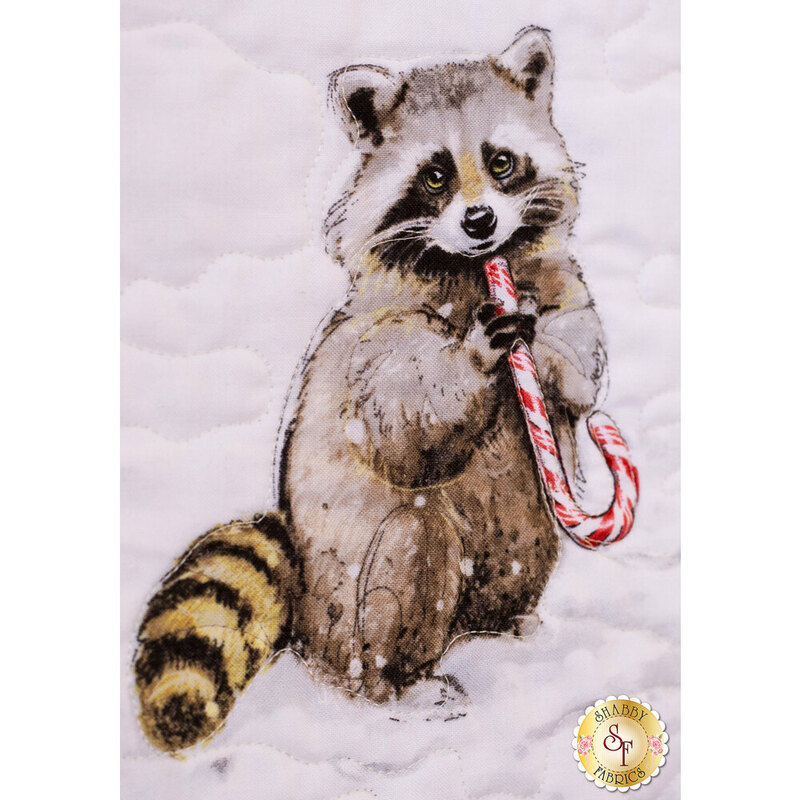 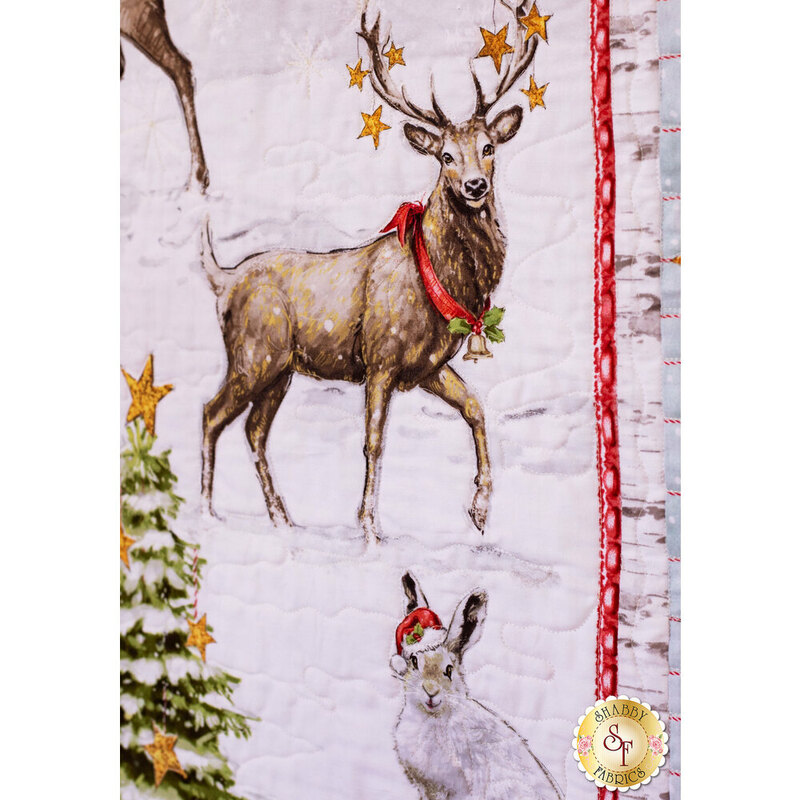 Add this beautiful quilt to your home to welcome the holiday season year after year! 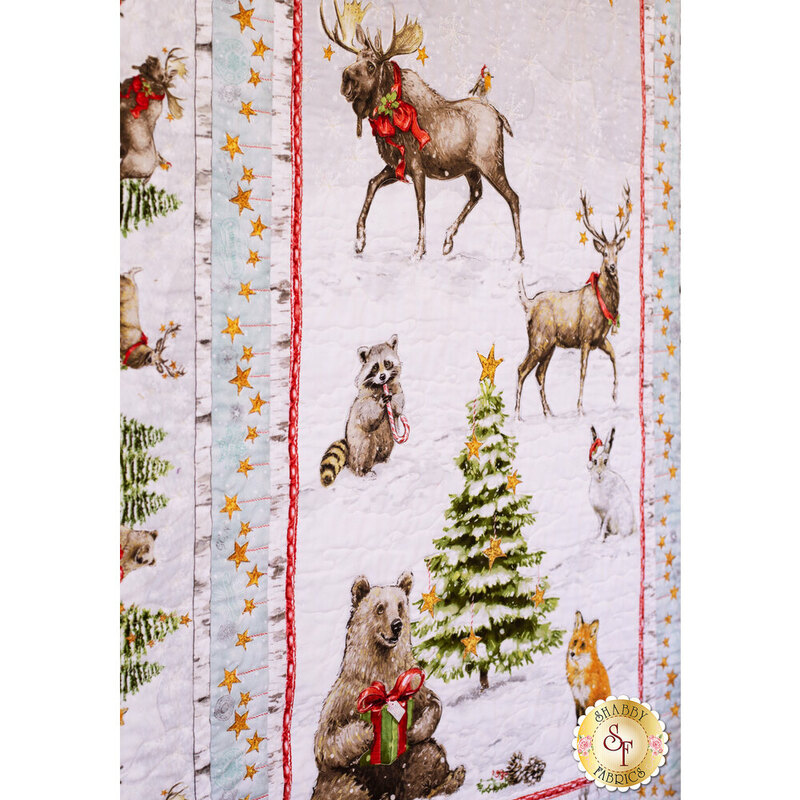 Quilt measures approximately 46" x 65". 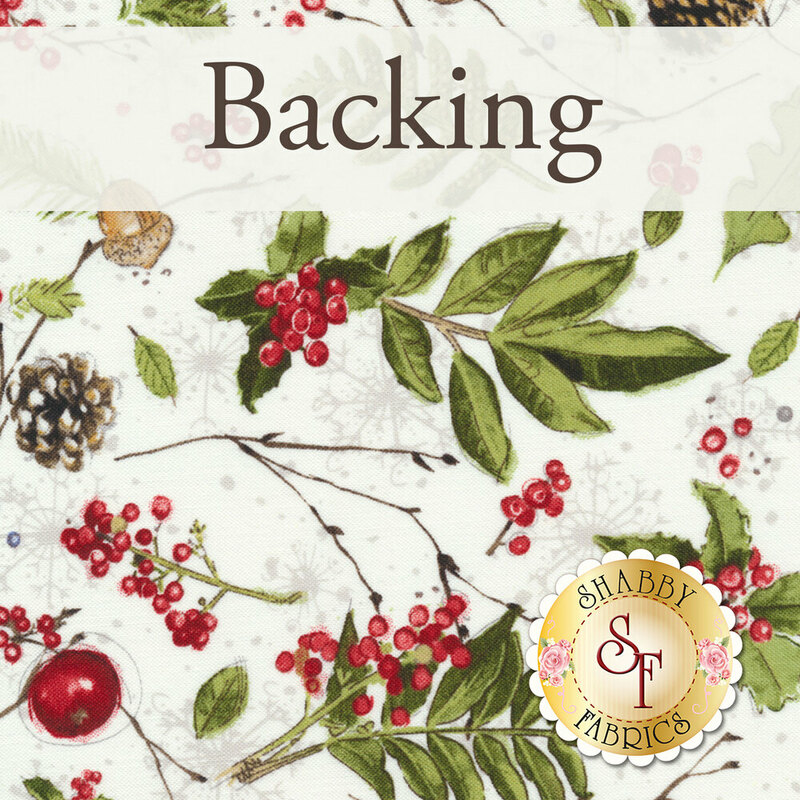 A coordinating backing is available in the options below!